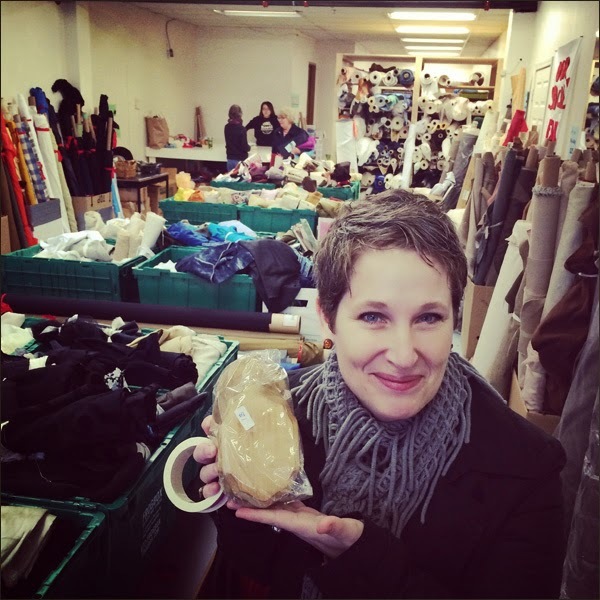 This afternoon I trekked to 871 Hastings Street for the biweekly fabric sale at Our Social Fabric (OSF). 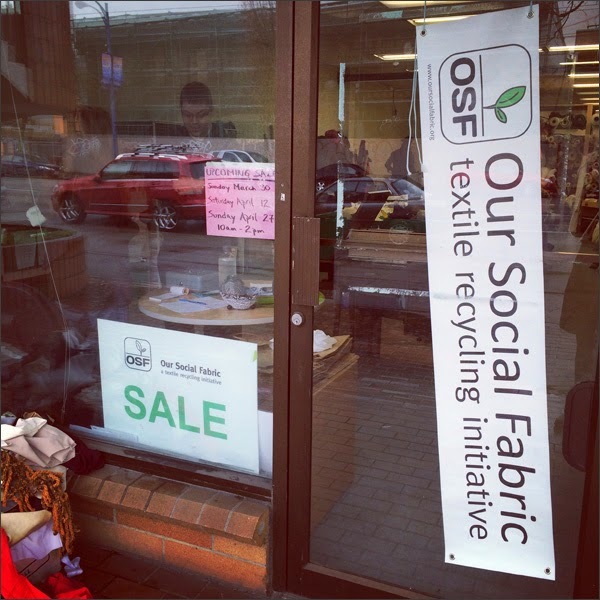 OSF is a non-profit Vancouver group that helps recycle excess fabric from manufacturers, the movie industry, and more. 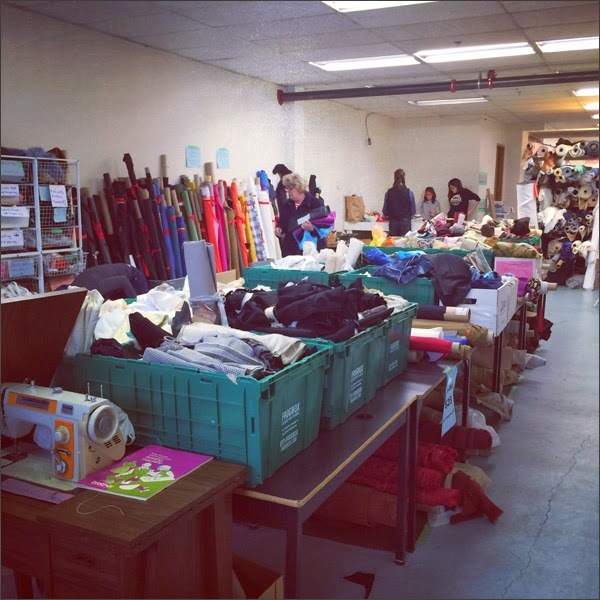 They have TONS of fabric and crafty goodness for sale. You can fill 1 bag for $25 or 2 for $40. And a bolt of fabric is $2-$5 per metre. What a dealorama! Yup - I was in my super happy place. 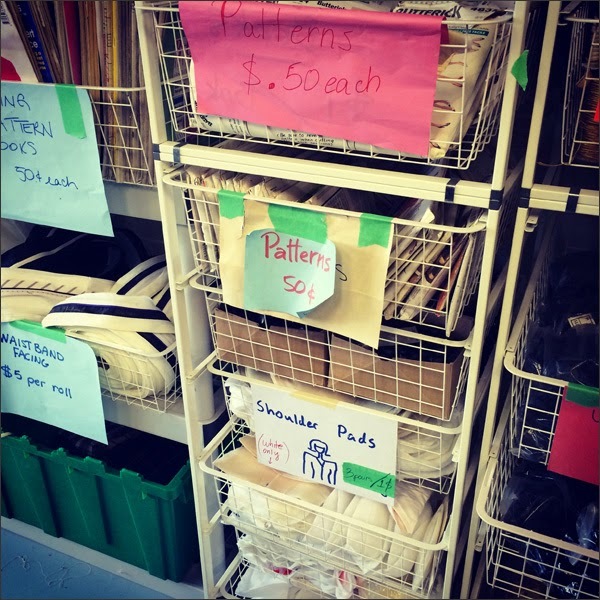 It's a crafty girl's dream place - loads of fabric, buttons, ribbons, patterns and more! I'll be back. There's a possibility of TBD partnering up with OSF for workshops. I'll keep you posted. Maybe I'll see you at one of their upcoming sales. Such a great idea!